Today some customers came from Kobe. 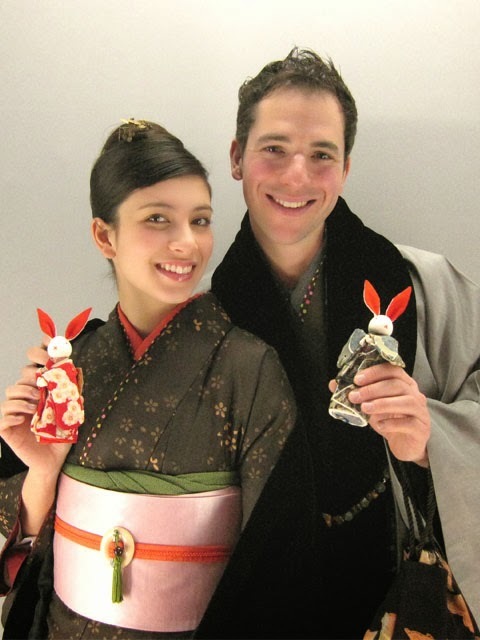 They are looking for special kimono to dress up for wedding ceremony. We recommended this silk kimono with long sleeves, also an authentic and original obi sash with typical obi's accessories. Last chance to wear long sleeves kimono called furisode for only single women. I hope the customers will have great memory of the wedding ceremony with our suggested kimono.